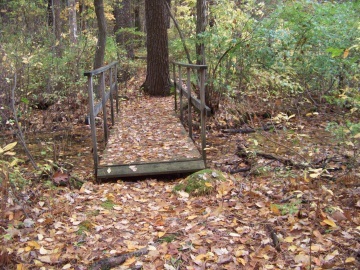 The Eel River Woods and it's hiking trails make up a 12 acre section in the southern portion of the Plymouth River Complex. The land sits on Cushing St with 1100 ft. fronting the street. 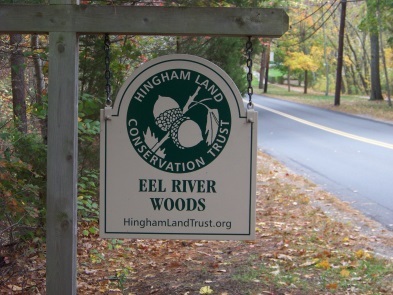 It was a donation by Mary Niles to the Hingham Land Conservation Trust, an organization that works to acquire, preserve and maintain properties like this one. On Cushing St you will find a highly visible sign to the area. There is no parking lot, but 2-3 vehicles can safely park alongside the roadway. The conservation has two "leg" portions. River and it's marsh into the forest. The other runs along the top of the marsh and along Cushing St. I chose to go left and into the forest where shortly I came to another intersection. The choices here were straight or to the left. I chose straight. Later learning that the hiking trail leading left was the return on a loop through this leg portion. Quite soon the marsh can be seen on the right. There is a wetland area that flows into the marsh and a bridge that helps you over that. Then there is this different sort of climb over a boulder and root area with a rail to lend a hand. The trail climbs a bit and runs through a stone wall. Shortly after that one of the many sturdy benches placed on the property appear. After the bench the trail is flat and easy to navigate. 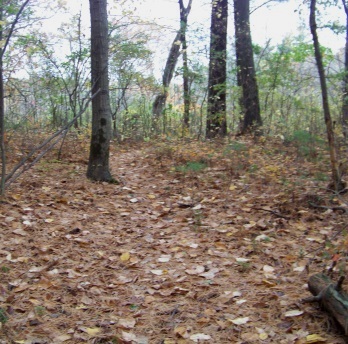 The hiking trail twists and turns through quite pleasant forest that isn't very thick with vegetation. Soon there is another intersection. Later I learn these intersections are just short connector trails with other portions of the loop through this peninsula portion of the property. I follow right and stay on the trail closest to the marsh and soon come upon another bench. A bit further down the trail it clears a bit along the marsh. A possible bird watching site. The trail leads gently downhill and to another intersection. 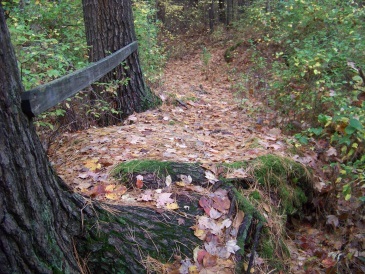 Here a narrower trail leads to the right. This leads into the marsh but soon fades away. Almost looks like it could or did at one time continue but is overgrown. 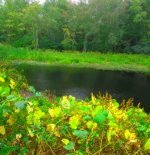 Back on the main loop hiking trail, it continues along the edge of the marsh and makes a circular motion. It becomes obvious that the trail is leading back up toward it's starting point. Along the trail on this side, soon obstructed views of Eel River appear to the right. There are many faint trails heading in that direction, no doubt made by animals living in the forest. The other end of connector trails lead away. of Eel River comes into sight. After this the hiking trail leads left and away from the river. 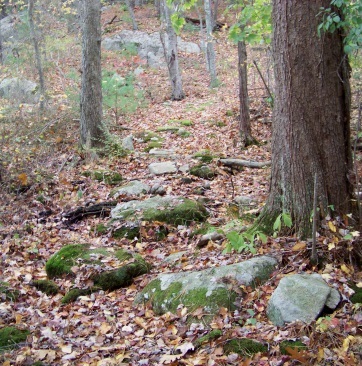 The trail becomes rocky and soon runs along the bottom of an outcropping. There is a faint informal trail up to the top of this and to the left a pool of water. 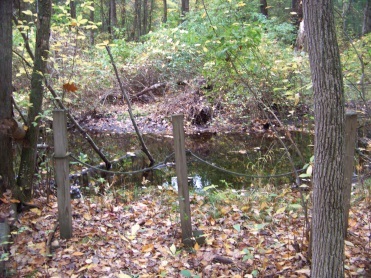 This runs into the marsh and is part of the wetland that the original bridge leads you over. This part of the trail runs just below Cushing St and soon brings you up to the second intersection at the beginning of the hike. Here I followed the trail up to the first intersection and turned left to explore the other "leg" of the property. Like the first leg almost immediately I came upon another intersection. I went left. The trail not taken again proved to be the other end of a loop. The hiking trail then went downhill and through what looked to be glacial til or very well placed trail work of rocks. This went through a wetland edge area of the marsh. Shortly after the trail climbs up on railroad tie stairs. Before the stairs there is another trail that leads to the right. 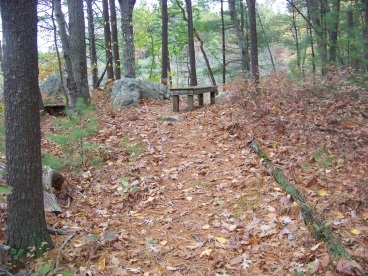 At the top of the stairs the trail goes left and to a bench. 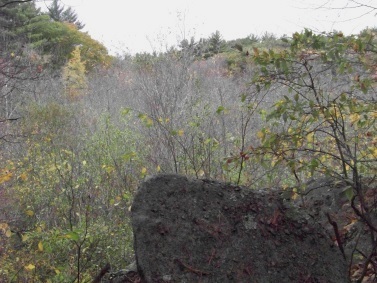 This overlooks the marsh from a height and is the best view of the area in the forest. 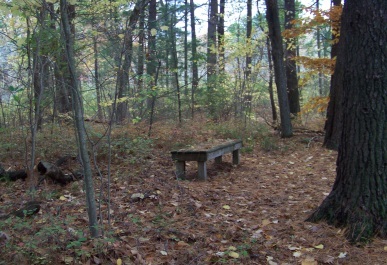 There is a narrower trail that leads down to the edge of the marsh below the outcropping the bench sits on. Another trail heads straight into the woods. This intersects with a wider trail going to the left. 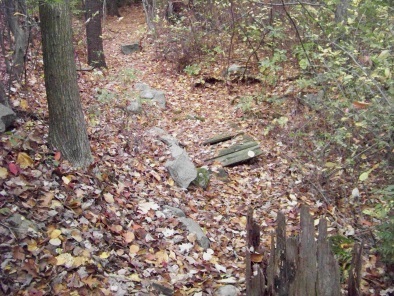 This eventually leads up a hill and appears to lead out on a private driveway. 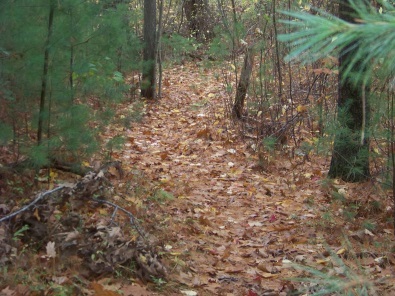 If you look carefully the trail actually makes a loop here as a map of the property shows. 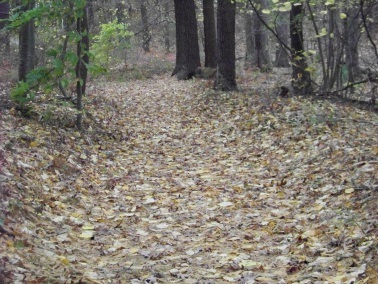 If you have reached the private drive, turn around and looking to the right a faint trail mark can be found on a tree. The loop swings back and quickly puts you back on the same trail to retrace your steps. At the bottom of the railroad tie stairs I took the trail that is now to the left. This is another small loop that comes close to Cushing St again and over a short boardwalk. This leads back out to the intersection and then back to the trail head where you began. exit 15 off route 3 heading south on Derby Street. After passing the Derby Street shops, take a left on Cushing St. at the next set of lights. Cushing will intersect route 53, continue straight taking the turn to the right at the Ward St intersect. The trail head sign will be shortly on the left. 2 vehicles at the side of the road.